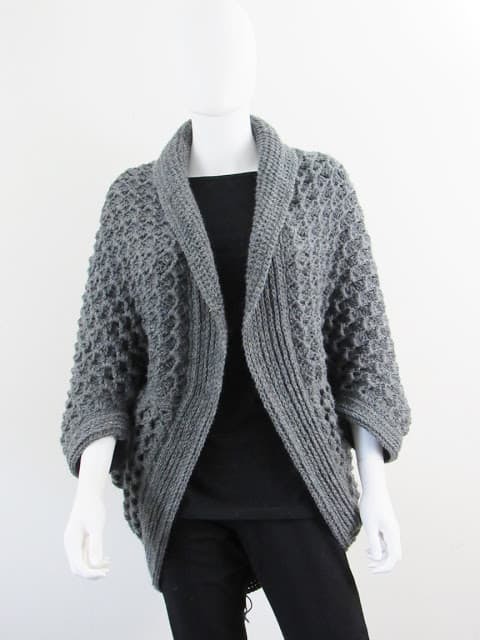 After the great response I received to my 7 Hour Cocoon Cardigan, I decided to design another blanket shrug crochet pattern. A textured bodice and a collar make this sweater classy. The pattern includes options for a 3/4th sleeve as well as a full sleeve. 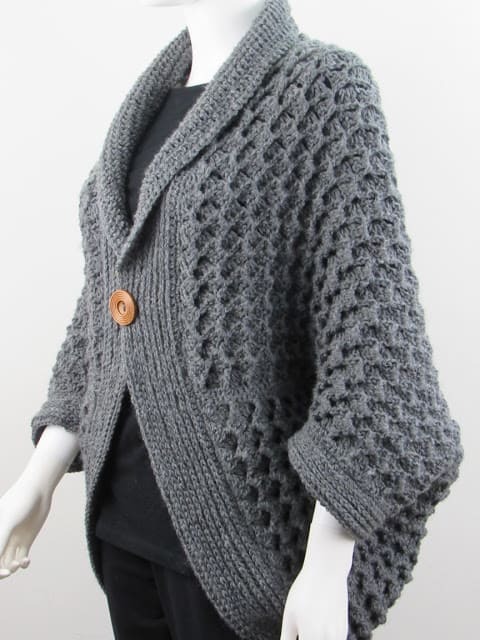 I believe the texture would pop more if you used a lighter color yarn. 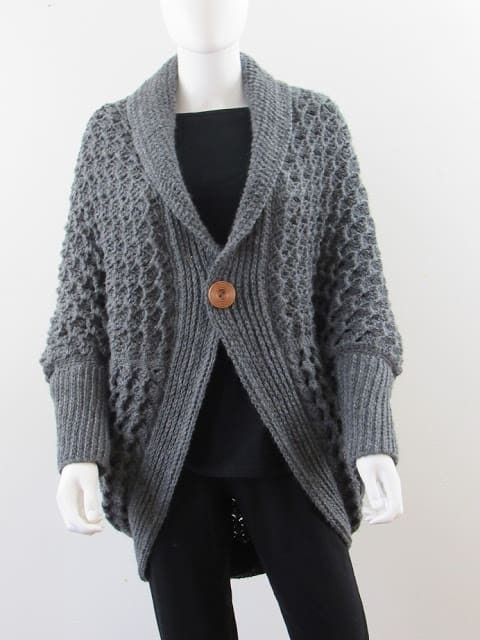 I would like to give a big shout out to Lion Brand Yarns for offering me yarn support to make this cardigan. 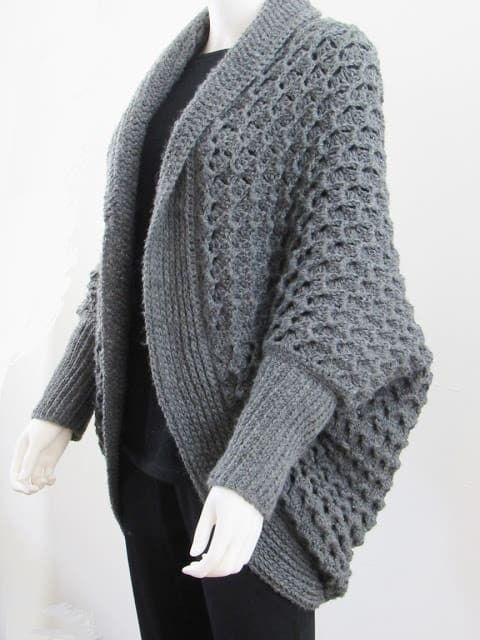 I used the soft, luxurious and affordable Wool-Ease yarn from Lion Brand in color Oxford Grey for this pattern. It comes in so many stunning shades, you won’t have any trouble finding the one you like. * This Crochet pattern is written in standard American terms. You can find a US to UK conversion chart here. *Pictures are included for the stitch( not stitch diagram). *It includes sizes XS/S, M, L, XL, and 2XL. 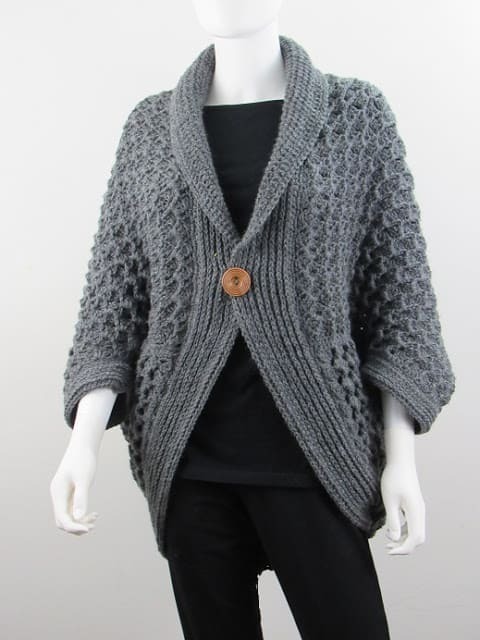 * It uses light worsted weight(size 4 yarn). 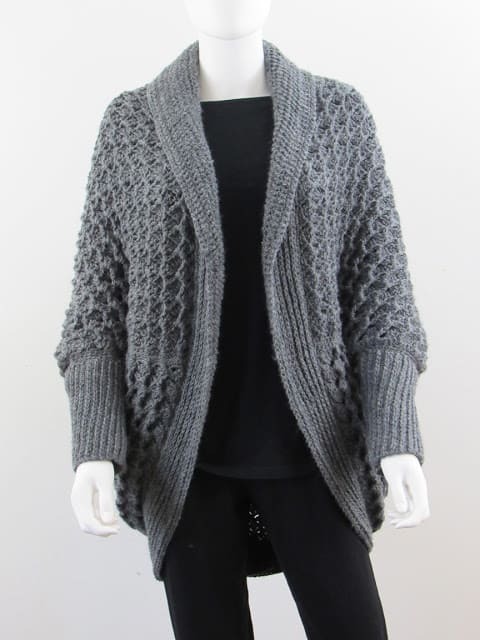 Lion Brand Wool-Ease Yarn in color Oxford Grey was used for the shrug pictured. *It is worked using a J(6mm) and an H (5mm)hook. 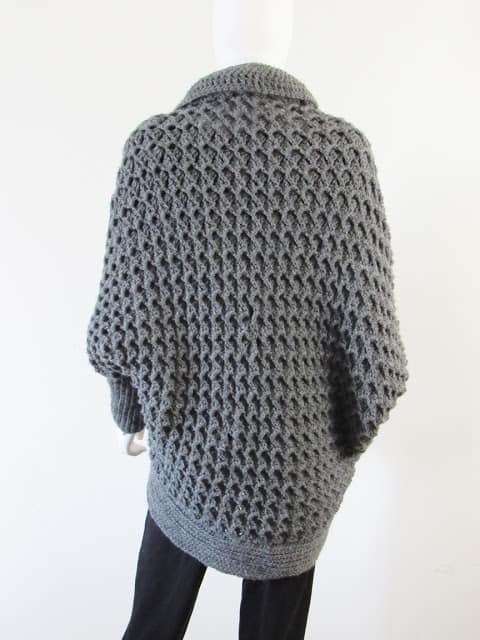 * The shrug is made from a rectangle and involves no shaping for arms or neck. Would this be ok for a beginner? Thanks! Yes, I think it would be okay for an advanced beginner. You just have to shoot me an email if you have any questions.